Posted on March 21, 2018 by Newbury H.
All of J. Lynn’s books are amazing, but this may be her best yet! The book begins with Stephanie, a girl who just moved into town. She has trouble moving boxes into her apartment, and Nick is the one who helps her out. Stephanie later goes to Mona’s, the local bar, and finds Nick working. They have a one night stand, and they are supposed to be well on their way out of their lives; however, something happens so they have to get together again. This book has so many plot twists (in a good way), and even though there are MANY sad moments, there are also funny, laugh out loud ones. If someone is looking for a heartwarming, sad, laughable romance, this is the one for you! Posted on March 19, 2018 by Elina T.
The Unfinished World and Other Stories is a beautifully written piece of literature filled with a wide variety of short stories. These stories revolve about everything from time travel and space to thrilling tales of kingdoms and magic. I was truly amazed by the sheer creativity and eccentricity which Sparks was able to spill out and expertly mold into eloquent, intriguing, and though-provoking stories. Each story is unique and unlike anything I’ve ever read before. Although they are completely unrelated, they all seem to have some sort of other-worldy ethereal sense to them. Maybe it’s because of the style in which it’s written, or it could simply be the creative flare with which the author forms her worlds and characters. Either way, I was completely blown away by this book, and cannot get over how utterly incomparable and ingenious it is. Because this book is composed of so many stories, I have grudgingly decided to speak about only two of them — The Unfinished World ( I suppose I must talk about this one) and my favourite out of the other short stories: And the World Was Crowded with Things That Meant Love. 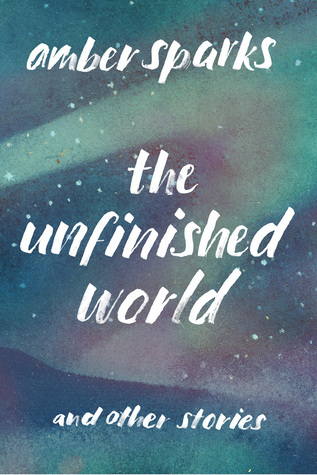 The Unfinished World (for which this collection of stories was named) tells the story of a boy named Set. Set is an unusual boy who struggles to find and understand himself and his past as he grows older. When he was younger, he was attacked by a bear, and he died…well, sort of. He ended up surviving the attack, but there has always been something missing…no one can quite put their finger on it. He’s never been the same since; there’s an empty hole in his soul. Set follows in the footsteps of his older brother who travels to Hollywood in pursuit of his dreams. Set becomes well-known, and everyone sees him as a handsome, hard-working young man. Anyone who really knew Set would know that that is just a facade — part of him is missing. Then he meets Inge, and she turns his life around. And the World Was Crowded with Things That Meant Love is a short, but deep and meaningful love story. Early in their lives, a young man and a young woman meet one another and fall in love. However, both have jobs which require constant traveling. They show their love for each other by sending wood carvings and sculptures to each other. By this means, they continue their relationship. A detail which I thought to be particularly lovely was that one would send an artistic portrait to the other, having remembered, in full and perfect detail, what they looked like. Despite the fact that some of these stories are extremely short (just two or three pages in some cases), the author has a unique ability to weave in and evoke so much emotion. Some of the stories were slightly confusing, some more intense, and some were pretty dark (I would recommend an older audience for this book). 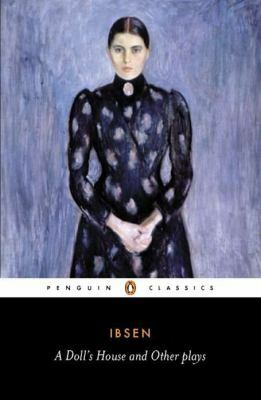 However, I would definitely recommend this book, as it felt as if I was in a completely different world while reading it. Are you a dog lover who believes in destiny? If so, this should a fantastic book for you. Bailey was an ordinary pup that had so many lives that he(she) doesn’t even remember anymore. But the most remarkable life that imprinted itself on Bailey’s heart was probably when he was a golden retriever that the color gold of his fur enlightened his owner Ethan. The profundity of their friendship is not there to be described by words. But when Bailey passed away after Ethan went to college, the subtle bond still remains unbreakable and the immortality of it freshens Ethan’s entire life from that on. But Bailey’s reincarnation is never-ending, he continues to walk on his abysmal lives. There are horrible owners that exhibited their insanity throughout the story that you might want to screw them up. And there are also owners that their effusive magnanimity melted your heart in an instant. Though we all know that the final home that Bailey should belong is the genial room of Ethan. The answer whether Bailey will be hugged by Ethan again and play his favorite baseball is waiting for the readers to find out with tears in their limpid eyes maybe. 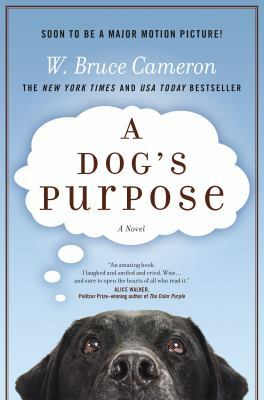 A Dog’s Purpose by Bruce Cameron is available for checkout from the Mission Viejo Library. 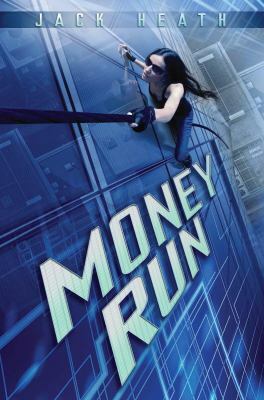 Posted on December 25, 2017 by Skylar N.
Wow, what a great book! It was so good in fact, that I finished it in a day. The book starts with our leading man, Drew asking Fable (our leading lady) to work for him. She automatically thinks he want’s her for something else, so she says no, until he says that he only wants her to be his “temporary girlfriend”. How much is he going to pay? Glad you asked, he’s paying her $3,000. She’s struggling, as she has to care for her younger brother as her mother is useless, so she says yes. As you can probably assume by now, they are going to fall for each other. But how couldn’t they? They are both hiding secrets and they both realize that the other is hiding secrets. I won’t spoil any of their secrets, but let’s say Drew’s are not predictable at all. The author makes you really care for the characters and I can’t wait to read the next one! Posted on December 1, 2017 by Skylar N.
Wow! I do love everything written by J. Lynn, but this may be her best yet. The book starts off with Stephanie walking into a bar and finds Nick whom she has a one night stand with–or so they thought. I won’t spoil it for you, but something happens so they have to get together again. Stephanie has never been in love, but she believes in it. She had a bit of a tragic past, so she is a bit scared of love (listen to She’s Not Afraid by One Direction, that matches her perfectly). So when Nick comes into her life again, she tells herself not to fall in love. Nick also has his own issues to deal with (again, not going to spoil it for you :p) and he doesn’t want to fall in love either in case he gets hurt again. But the first time he see’s Stephanie, he feels drawn to her in a way he hasn’t felt for anyone else. But sure enough, they get back together after their one night stand. Stephanie falls for him, though she tried to ward herself off him, she just can’t. Stephanie fears that Nick doesn’t feel the same about her, so she tries to distance herself. Nick is scared to love Stephanie, but he knew he feel for her the first time he saw her (and no, not in a cliché way).But can he convince her he feels the same way as she does? “Nick seemed to sense just when I needed him. Even if he was asleep, his arms would tighten around me, sometimes, when my recklessness woke him, he would talk to me until I feel back asleep, distracting me with some of the crazy things he’d seen while working at Mona’s. He was simply there for me, and I let him in completely. I did not do this book enough justice! One of my favorite parts of this book is that even though it had many sad moment, J. Lynn always made sure to make you laugh as well, and I found myself laughing a lot about this book. In other words, you NEED to read this book. Unfortunately, this book is not avaliable at the Mission Viejo Library, but it is avaliable from the Orange County Public Library System.